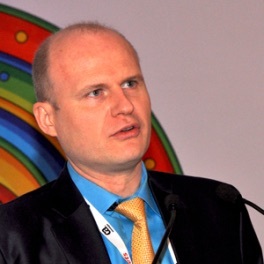 Rafal Rohozinski is a senior fellow for Future Conflict and CyberSecurity at IISS and CEO of the SecDev Group. Rafal sits on the advisory committee of the UN Counterterrorism Executive Directorate(UNCTED) project on terrorist use of the Internet, and leads SecDev’s research into social media and violent extremism. In 2016, Rafal led a UN study of terrorism and social media in Bangladesh. An international lawyer by training, Michael Yakushev has an extensive and diverse background in Telecom, IT and Internet Business. He worked as Chief Counsel of Moscow-based branches of multi-national corporations like Orange (Equant), Microsoft, and SAP; he was also the Head of Legal Service of the Russian Federal Ministry on Telecommunications (2004- 2006), and VP of Russian Internet holding group Mail.Ru.Group. Michael participated in numerous international expert groups on Internet Governance, including G8 DOT-Force, UN WGIG, and WG on Cross-border Internet of the Council of Europe. 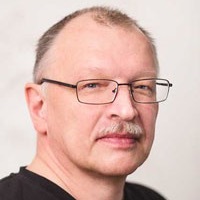 He is well-known in the countries of the former USSR for his research work, articles and books on different legal aspects of Internet Governance. 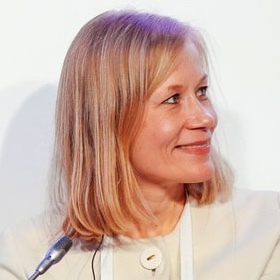 Maarit Palovirta joined the Internet Society in November 2013 in the role of Manager, European Regional Affairs. Maarit is a senior business development and public affairs professional with a great track record in government advocacy. She has extensive experience in strategy and public policy issues with multiple stakeholders in the EU and CIS countries. She worked with CISCO as a Business Development Manager, Public Sector EMEA. She also has worked with well-known Public Affairs consultancies (as eg. Interel). Adam runs a joint project with UN CTED concentrating on deepening understanding of private sector engagement in responding to terrorist use of ICT. In 2017 Adam will be leading Phase 2 of the UN CTED project which will include convening a series of global capacity building workshops and developing the knowledge-sharing platform for the use of governments and smaller ICT companies. Tattu Mambetalieva has led many policy processes and redrafting of legislation on lawful intercept, independent media and privacy. She served as an advisor to three Kyrgyz presidents, and has co-convened workshops and executed projects with a wide range of stakeholders including the Regional Commonwealth of Communications (ITU), OECD, UNDP, UNESCO, USAID, Google, and others. 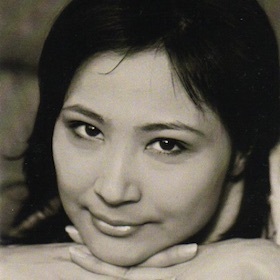 Yulia Denisenko is a member of the Assembly of the Nations of Kazakhstan. A professional journalist focusing on religious issues, she works as a consultant and trainer on influence and prevention of socio-psychological manipulation in destructive groups. Professor Vafobek Barombekov works as the head of the Sociology Department at the Tajik National University. He is a member to the OSI AF Tajikistan Board. 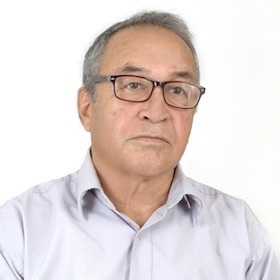 Dr Bahrombekov is the author of more than 30 scientific papers and five textbooks on sociology and social work, and co-author of three monographs including the Formation of Political Culture in Transition. His area of research covers also roots of youth radicalization in Tajikistan. Ankhi Das is the Director of Public Policy for Facebook in India and South & Central Asia. With over 17 years of public policy and regulatory affairs experience in the technology sector, Ankhi’s primary responsibilities are to lead Facebook’s efforts on connectivity, Internet governance, promoting access and Open Internet, privacy, data security, safety issues and political risk management for the company. Ankhi is also the Vice-Chair of the USIBC Digital Economy Committee. Prior to joining Facebook in 2011, Ankhi worked as the Public Policy Director for Microsoft in India. 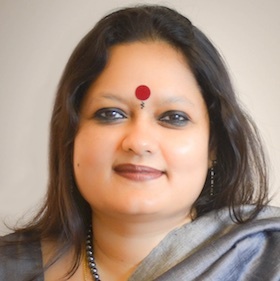 As a graduate of Loreto College, University of Calcutta, Ankhi has done post-graduate studies specializing in international relations and political science at Jawaharlal Nehru University. Roman heads the Center of Information Security since its launch, also is a Software Development Director at the international start-up company Iron.io. He participates in many regional and national IT-conferences as co-organizer, speaker and moderator. 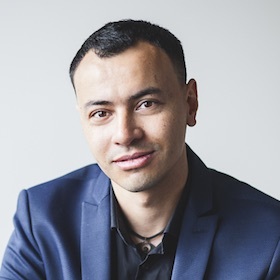 Roman also worked as consultant in information technologies and security in many international organizations such as UNDP, Soros, ADB, USAID and others. 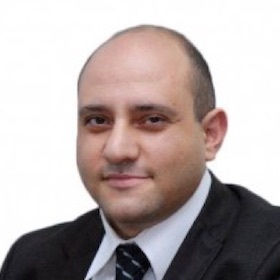 Arman Abdrasilov is co-founder and director of the Association of Legal Entities "Center for analysis and investigation of cyber-attacks" (CAICA). Member of the Public Council of the Ministry of Defense and Aerospace Industry of the Republic of Kazakhstan. Engaged in the popularization and promotion of information security awareness. Graduate of the Mechanics and Mathematics Faculty of the Kazakh National University named after al-Farabi and KIMEP. 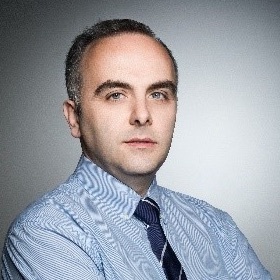 Vladimir Svanadze is founder and chairman of the board of “Internet Development Initiative – IDI”, former consultant at LEPL (Legal Entity of Public Law) “Cyber Security Bureau” of the Ministry of Defense of Georgia, Vladimir holds a master’s degree in the international policy. Has been studying cyber security policy, strategy and current best practices since 2011. Author of many works and articles. Prepared and published the first Georgian language book on cyber security. Initiated and organized various cyber security projects. Focal point at the EuroDIG2017. 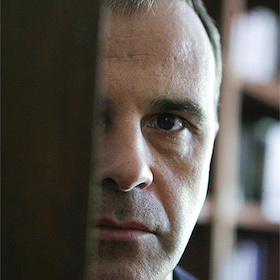 Furthermore, he is a doctorate of the social and political science program, Georgian Institute of Public Affairs. She has successfully graduated from Kazakh State Academy of Management after T. Ryskulov. The length of service in the sphere of finance and economies is more than 13 years, including work in public authorities, regulated banks and private companies. She sometimes published the articles in various financial editions. 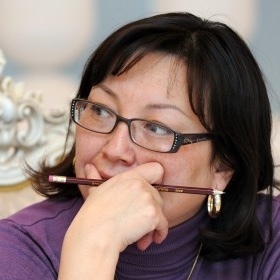 In 2015 she has begun to work for Radiotochka.kz website as an economic observer. Later she became a host of Who Owns Kazakhstan section. 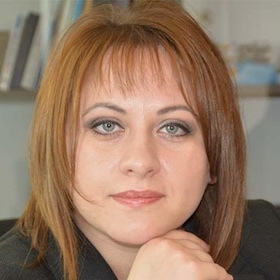 Now she works as an editor of Russian version Factcheck.kz resource. Vahan Hovsepyan has a diverse background in boosting initiatives in ICT field. He is a Director of ARMIX Foundation-Armenian neutral Internet exchange, Armenian Operators Union, with more than 20 member companies. He worked at the Union of Information Technology Enterprises as a Deputy Director, heading Armenian technological delegations during different local and international activities. He has served as a Jury Member of Georgian ICT Award, and in 2017 became an ICANN Fellow. Vahan has participated in IXP workshops in Dushanbe and Bishkek, and was a co-host of RIPE NCC Regional Meeting in 2015 and host of ENOG 12 in 2016. He graduated from Armenian-Russian State University, and has completed executive education courses in Maastricht School of Management and John. F. Kennedy School of Government at Harvard University. From July 2017, Vahan will serve as an External Relations Officer with the RIPE NCC. Studied law at Ankara University, subsequently gaining a Master of Laws degree from Queen Mary, University of London, specializing in Computer and Communications Law. Since 2003, she has worked as an instructor at Bilkent University Faculty of Law for the Internet Law and Civil Law courses. 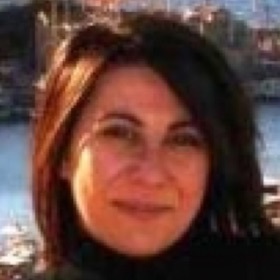 Ms Ünal is also studying a PhD in Civil Law at Ankara University, with a dissertation on the Civil Liability of Internet Service Providers for Online Content. Ms Ünal's primary areas of interest are ISP liability, privacy and data protection, protection of IP rights over the Internet, e-commerce, and Internet regulation. Graduated the Tashkent electrotechnic Institute of communications with a degree radiocommunication and radiobroadcasting. After graduation, he worked his way up from an ordinary engineer to the head of the department of telecommunications and broadcasting of the Ministry of Communications of the Republic of Tajikistan. 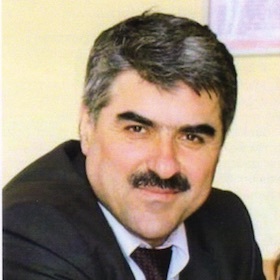 From 1995 to 2003 Nurudin Mukhitdinov headed the industry of communications of the Republic of Tajikistan and was an active participator of the Regional Commonwealth in the field of Communications. 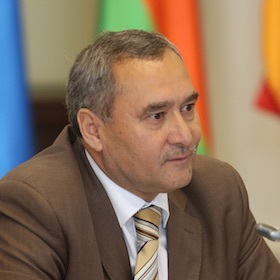 In 2003 Nurudin Mukhitdinov was nominated by the Communications Administrations of the Russian Federation and the Republic of Tajikistan for the post of Director General of Executive Committee of the Regional Commonwealth in the field of Communications and was unanimously elected on this position by the Board of the RCC CAs Heads. From 2003 was thrice elected on this position. 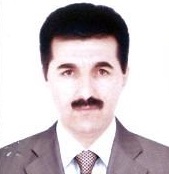 Nurudin Mukhitdinov is PhD in economics and has scientific works and thesis «Structural and Investment Policy in the industry of communications of the Republic of Tajikistan». Also Mr. Mukhitdinov is the Academician of the International Academy of Communications. 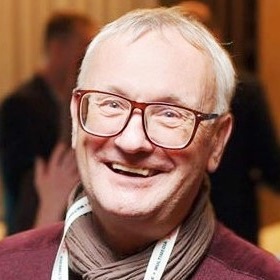 Since 1991 Andrey Romanov was involved in development and implementation of the network and computer technologies and actively participated in the development of the Internet in Russia. He was leading the commercial software project to create of the automated billing system for ISP. Since 1993 he was an active member of the Coordination group for .RU TLD. Deputy Head of the Information Service at the Coordination Center for .RU/.РФ TLDs. For the last seven years, he has worked in internet hosting and domain registration, holding various positions with Russia’s largest host providers and domain name registers. In 2013, as part of the Foundation for Assistance for Internet Technologies and Infrastructure Development, he played an active role in launching the .МОСКВА and .MOSCOW domain zones. 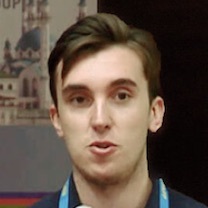 In 2014 he joined the ccTLD team where he is working in press-service and in staging the industry events. 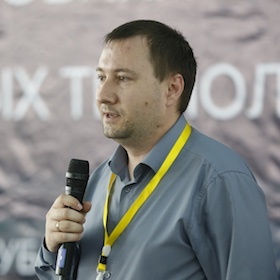 Mikhail Anisimov is a member of various industrial organizations and an organizer of thematic conferences and forums concerning domain registration, hosting, internet infrastructure and cybersecurity. He represents Coordination center in different domestic and foreign internet conferences and makes lectures for schools and universities about internet infrastructure and information security. Alexey Kozliuk is lawyer, human rights advocate, researcher of digital freedoms and international instruments of human rights protection. Recent years Alexey has been researching access to public sector information, freedom of information online, privacy and data protection. His research fellowship in the International Centre for Not-for-Profit Law (USA) was focused on the issue of content blocking under different jurisdictions. 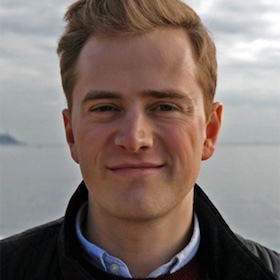 Alexey is a tutor on data protection in the European College of Liberal Arts (Belarus). External Relations Officer (Eastern Europe and Central Asia) at the RIPE NCC. Maxim Burtikov is External Relations Officer (Eastern Europe and Central Asia) at the RIPE NCC and is based in Moscow. This role involves engaging the broad range of RIPE NCC stakeholders in Russia and surrounding regions, including RIPE NCC members, governments and law enforcement agencies. In this role, Maxim also interacts with international organizations such as the APEC, the European Commission, the Organisation for Economic Co-operation and Development (OECD) and the International Telecommunications Union (ITU). Maxim graduated from law school at Moscow State University in 2007. He started his career at the Ministry of Communications and Mass Media of Russia, before joining the Federal Communications Agency, where he worked as Chief of Staff. In these roles, Maxim was involved in a number of government projects, particularly the launch of the Russian Internet Governance Forum (IGF). In 2012, he embarked upon a career as an independent IT and Internet consultant, focusing on government and public relations, before joining the RIPE NCC in 2013. 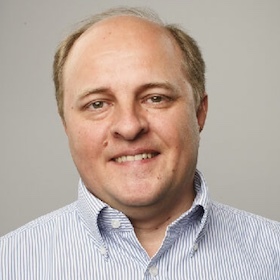 Oleg Petrov has been working on digital development and knowledge sharing at the World Bank since 1996. Currently, Oleg coordinates the Smart Nations program, Open Data program, ICT programs in Russia, Kazakhstan and Serbia, and high profile knowledge sharing activities of the Bank's ICT Unit at the Transport and ICT Global Practice, including the High-level Experts, Leaders, and Practitioners (HELP) for Transformation, Open Data Innovations Network, Open Government Data working group and Digital Development Community. 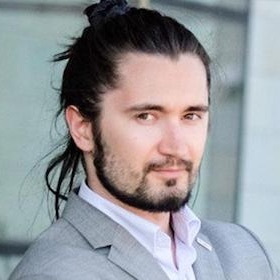 He was the first team leader for Moldova Governance e-Transformation program, the pioneering World Bank funded project to support Open Data, mobile e-ID and cloud computing infrastructure. Oleg conceived the Global Development Gateway (1999), coordinated about 20 Country Gateway programs in Europe and Asia (1999-2001) and global knowledge portals on ICT4D and Afghanistan Reconstruction (2002-2003). He also worked with the EU Public Sector Institutional Reform project in Russia on catalyzing multifunctional public service centers program and national e-government strategy (2007). Oleg holds a Master’s degree from the Fletcher School of Law and Diplomacy (Tufts University) and Diplomas from the Plekhanov Russian Economics Academy and Moscow International University. Asomudin Atoev is a project coordinator on cyber security of Citizens' Initiative of Internet Policy Social Fund in Kyrgyzstan now. He is a Master in Computer Science (2000, Salford University, Great Britain), a Master in ICT Natural Sciences (information and communication technologies) for development (2010, Manchester University, Great Britain) and a Scholar in the International Policy Fellowships Programme 2004/2005 of the Policy Studying Center (Central Europe University). He actively deals with the issues of ICT introduction both in practice and policy at the national and regional levels. He has a number of publications in such issues as ICT advantages of providing free and open software for technological independence, information society, electronic government and electronic participation. His joint work with Richardo Dunkomb called "The Development of Potential E-citizen" has won an award of International ICEGOV 2011 Conference for the Best work in the field of the theory and practice of electronic control. Besides, he is a coauthor of a number of researches on electronic readiness, cyber security, ICT for development, open data, digital broadcasting and regulations of telecommunication and TV and radio broadcasting. 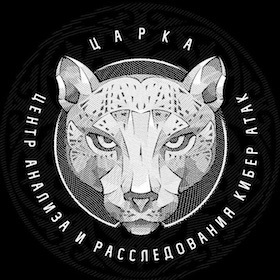 Yuri Kargapolov is a Member of the Coordination Council for the Ukrainian Network Information Center (UANIC), one of the developers of the administration and technical rules for IDN ccTLDs. Yuri Kargapolov graduated from the Odessa Polytechnic Institute, Radio-engineering faculty, in 1980 received diploma Dipl. Eng. Radio Designer and Technologist. In the sphere of professional interests and activities in different years included application programming, system programming and methodology. He created the ISP, has built and launched more than 25 technical platforms in different cities of Ukraine to provide broadband wired and wireless access. Yuri Kargapolv took active part in preparing documents for .УКР IDN ccTLD application and .0.8.3.e164.arpa application (Ukrainian ENUM domain). During the whole period (2009-2013) of preparation for delegation and launch .УКР IDN ccTLD he held position of Chair of Technical Group of UANIC. Yuri has attended over 50 local and international Meetings and Conferences of ICANN, IGF, RIPE, ITU, TLDCON, IGF-UA, RIGF etc. Yuri has attended 10+ ICANN Meetings, including ICANN 51 in Los Angeles. He is interested in Internet Governance and the DNS. He was Director of the Information and Analytical Center "Sipehr". Scope of the Research: Problems of interconfessional conflict. He lectured on this topic at the Institute of Islam and the Musulman Peace in Paris, the Institute of Anadolical Research in Istanbul, Humboldt University in Berlin, the French Institute of Iranian Studies in Tehran and in many other CIS countries. We welcome presentations on challenges, tools, experiences and best practices in the following areas. The purpose of the 2nd Central Asian IGF is the creation of a public platform for the discussion of policies affecting Internet governance in Central Asian countries.